Within the past several years, abuse of opiate drugs – both prescription and illicit – has reached epidemic proportions in the US. Recently, one of the most significant of these drugs is Opana, which is the brand name for the opiate medication oxymorphone. 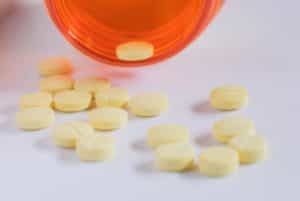 Because of the increase in the variety of opiate painkillers that is available by prescription, it can sometimes be confusing to figure out where and how to get help for opiate drug abuse or addiction. Knowing more about Opana, how it works in the body, and how addiction is treated can make it easier to find a reliable rehab program for treatment of Opana abuse. Opana is a partly synthetic opioid painkiller, which behaves similarly to how morphine behaves in the body. According to the drug information provided through the DailyMed website of the National Library of Medicine, Opana is intended to be used for moderate to severe pain. There are immediate-release versions for acute pain, and extended-release types can be used for long-term pain control. Oxymorphone has a history of addiction potential, including in earlier injectable and suppository formulations called Numorphan and Numorphone, which have been available since being approved by the Federal Drug Administration in the 1960s. In current formulations, some have believed the drug to have a lower addiction potential than substances like oxycodone or hydrocodone. However, in recent years there has been an increase in illicit use of all prescription opiate drugs. As reported by the National Institute on Drug Abuse, 23.4-36 million people worldwide abuse opiate drugs, with approximately 2.1 million people in the US specifically abusing prescription opiate painkillers. The illicit usage of Opana to achieve an opiate high can also lead to tolerance of the substance, which means more of the drug is needed to achieve the same result. Tolerance and subsequent dependence on the drug to feel good are signs of addiction. If a person is crushing the pills rather than swallowing whole pills, it’s a surefire sign of abuse. These pills should never be crushed. Over time, these physical symptoms can grow worse. If these symptoms are present with the signs of addiction above, it may be time to look for a reputable rehab center. Treatment for Opana abuse or addiction that is most likely to result in positive outcomes includes inpatient treatment at a research-based, accredited drug rehab center. According to a publication from the Office of National Drug Control Policy, research demonstrates that one of the key elements of long-term recovery from substance abuse is staying in treatment for the required amount of time without relapse. For most people, this is more easily achieved in an inpatient rehab center due to the supervision and comprehensive care provided. No single treatment is effective for everyone. With a customized approach that includes various types of therapy based on the individual’s needs, treatment can result in long-term recovery.